For the past few years, Tinder has been blocked in China. However, using Tinder in China is easy if you know how. In this article, we give a simple explanation of what you need to unblock Tinder in China, what a VPN is and what are the best VPNs for accessing any apps blocked in China. Last of all, we explain what type of people you can find on Tinder and what alternatives exist in China for dating. What do you need to access Tinder in China? 1. 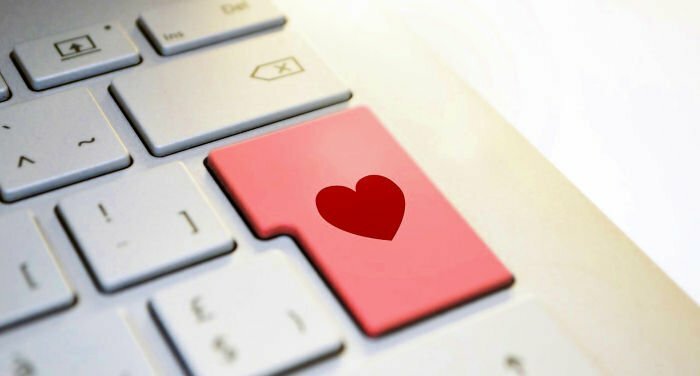 Internet access: It’s obvious that to access Tinder, you will first need to be connected to the Internet. However, is it difficult to access the Internet in China? As opposed to what some people might think, accessing the Internet in China is relatively easy. Public Wi-Fi networks: The majority of public places, including restaurants, bars, cafés, hotels and airports, have free Wi-Fi networks available for their customers. In small cities, it can be a bit more difficult to find places with free Internet, but you can still find it at places like hotels. A SIM card with data: If you want to use Tinder in China, the most convenient thing might be to have mobile data access, and unless you want to spend a lot of money on roaming, the best idea is to buy a Chinese SIM card. Getting a prepaid Chinese SIM card is cheap and relatively simple. All you have to do is take your passport to an official store of one of the country’s main operators (there aren’t big differences between them). Normally they will ask you to choose a telephone number from those available and a monthly data plan. For the majority of people, approximately 200 Yuan should be enough for a SIM card, a decent data plan and a bit of credit in case you need to make a call. 2. A system to get around Internet restrictions: Tinder and many of the most popular apps in the West are blocked in China. Nonetheless, there are numerous ways of getting around the restrictions of the Great Firewall of China and using the blocked apps without restrictions. Today, the most efficient system for accessing apps blocked in China is by using a Virtual Private Network or VPN. What is a VPN and what is it used for in China? A VPN is a system that encrypts your connection to the Internet and redirects it through a server located in another place. This increases the security of your connection (third parties can’t view your activities online) and hides your IP address (the origin of your connection can’t be seen). This is an especially useful system in China, as restriction systems will not be able to know what you are looking at on the Internet and websites and applications won’t know the origin of your connection (they will only see the IP of a server located outside of China). This way, you can browse the Internet and use apps without any types of restrictions. What VPN should I used to unblock Tinder in China? Not all VPNs work in China, and choosing the right one is very important to avoid headaches with the stability and reliability of your connection. In our experience, for the majority of users, we recommend ExpressVPN, as it’s a VPN that’s easy to use on any type of device, and has been one of the most reliable VPNs in China for a long time both in terms of its speed and stability. Any event, we recommend that you take a look at this article, which is updated monthly, where we analyze the best VPNs for China. Who uses Tinder in China? Because you need a VPN to use Tinder in China, it’s obvious that this has effect on the type of profiles that you can meet on Tinder, which has its advantages and drawbacks. The big advantage of these types of profiles is that the majority of people will be capable of speaking English, and it will likely be easy to find profiles with interests and customs similar to yours, making conversation topics and the first contact a lot easier. The big disadvantage is obvious: the options are limited due to the relatively low number of people using a VPN in China, and especially Chinese people. If you want to increase your chances for meeting interesting profiles among local people, in the following section, you can find some alternatives to Tinder. Momo 陌陌: This is probably the most popular dating app in China, but it has a bit of a bad reputation. The company has tried to improve its reputation by turning it into a sort of social network that makes it a bit complicated to use for beginners. It’s without a doubt the app used by the most foreigners. Tantan 探探: This app has an interface that is almost identical to that of Tinder, and is very popular in China. For regular Tinder users, it will be easy to use this app, especially because it has an English version. Qing Chifan 请吃饭: This literally means “invite out to eat.” It’s a very popular app where people can offer to invite you to eat at a place or a specific type of food. Later, people can sign up for the offer (the person making the invitation selects who they want to invite in the end). Liu Liu 遛遛: This is a dating app for animal lovers. This app is intended for people who have pets and want to meet people with the same passion. The app doesn’t just give importance to the person’s profile but also the pet’s profile. Wechat 微信: Wechat is much more than a dating app, as it is the most used messaging app in China and has options that you can use to meet people. The “People nearby” option will show you people nearby you with the option activated and who are therefore willing to chat (you can filter by gender). For more information on this app, you can read our complete guide on it.